Yorkshire captain Steve Patterson could be out for five weeks after breaking the forefinger in his left hand. 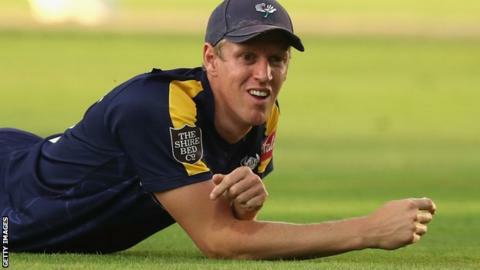 The 34-year-old sustained the injury in the six-wicket defeat by Lancashire in the T20 Blast on Thursday. All-rounder David Willey will lead the side in the interim, but the captaincy for the County Championship will be assessed in due course. Meanwhile, overseas batsman Kane Williamson will have an x-ray on a finger injury on Monday.